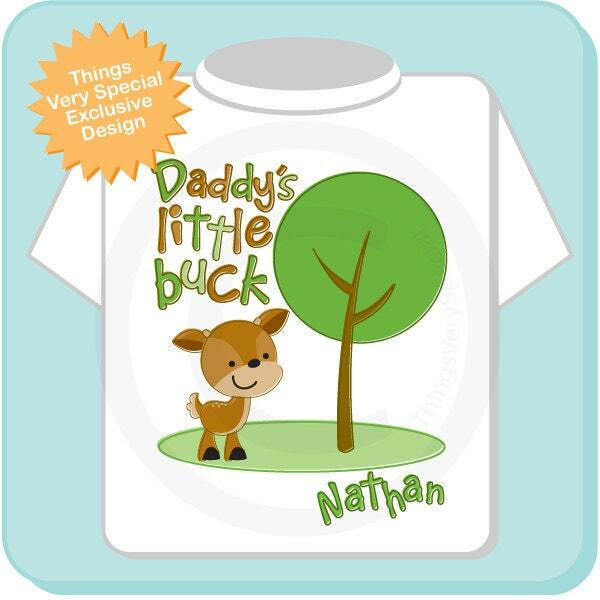 Super cute Personalized Daddy's Little Buck tee shirt with awesome Deer. 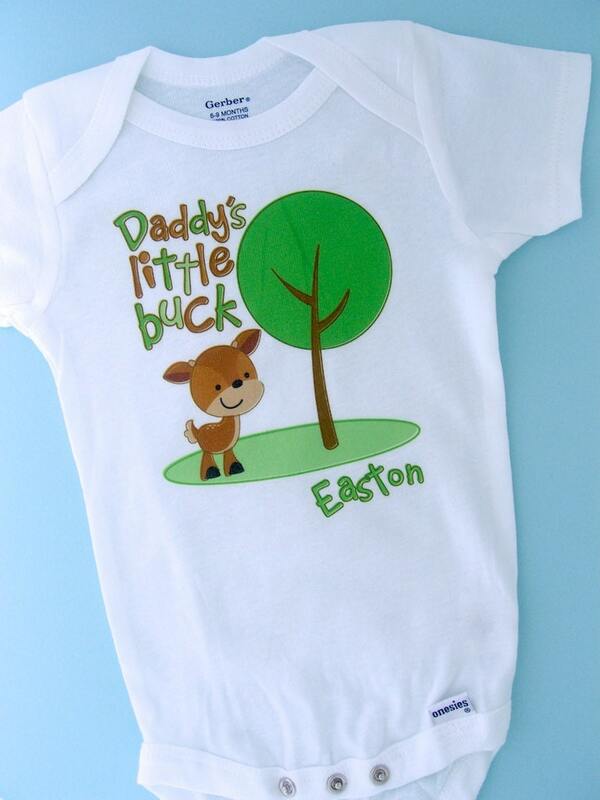 This cute woodland design has a tree and says "Daddy's Little Buck". Exactly as I wanted. 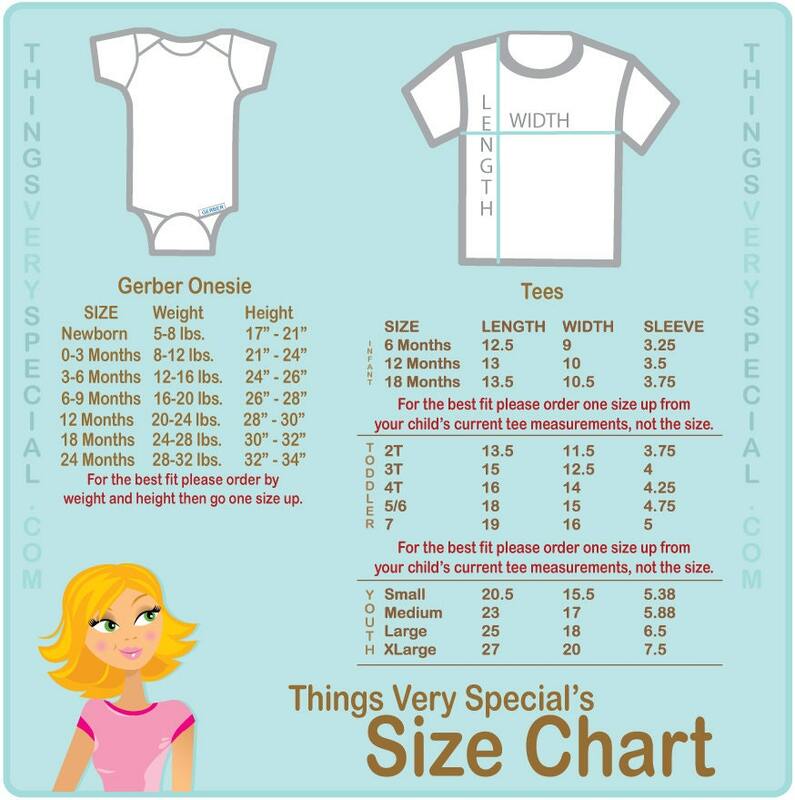 Shipped very quickly. Thank you.